Join the team at the Olive Café, to refuel and catch up with friends over a Campos Coffee, an indulgent cake, or a scrumptious lunch from our extensive, allergy sympathetic menu that utilises fresh, local ingredients. Open from 6:30am daily. 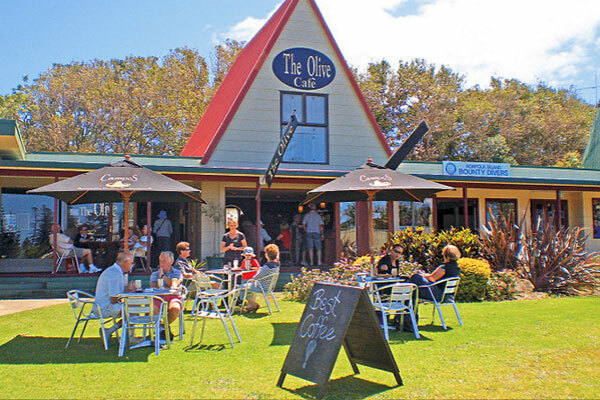 Described as a quirky and quaint Cafe and bookshop, the Orb is a place where the locals meet and eat. 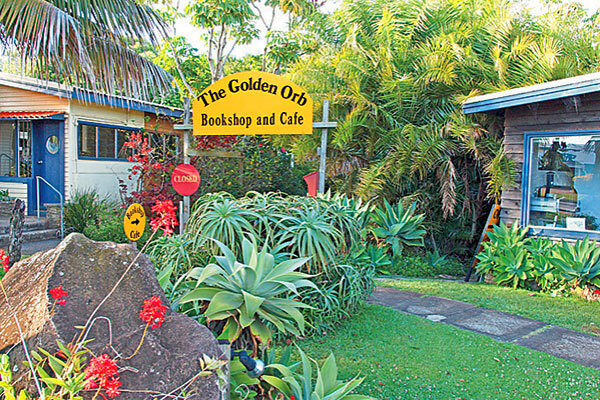 The Golden Orb is located in a lush subtropical garden just 20 metres off the main road. Our delicious fresh food is prepared each day right on the premises. 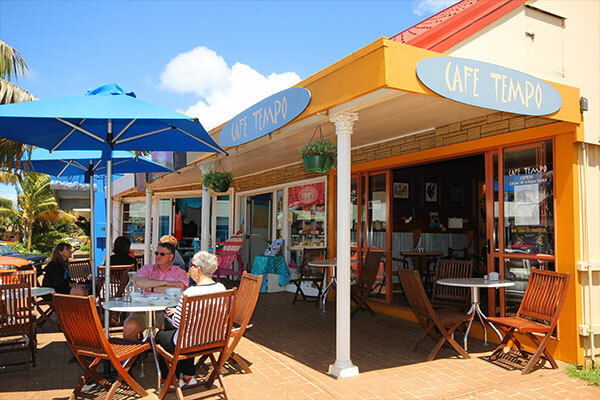 One of the island’s most successful cafés, Café Tempo is frequented by locals and visitors. 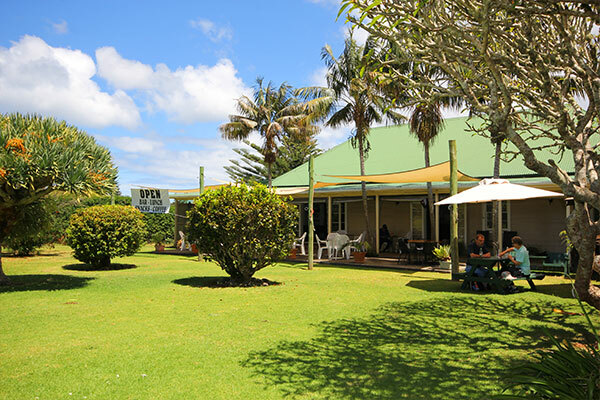 The café serves up excellent hearty breakfasts and great home style cooked lunches including chicken and filo pies and the giant sized Tempo Burger. Rumours licensed Bar & Café. Situated in the Burnt Pine area adjacent to the Foodland Mall. Open 7 days a week from 11:00am. Happy hour is daily from 4:00pm – 5:00pm. Lunch is available daily from 12pm. Takeaway beverages available. 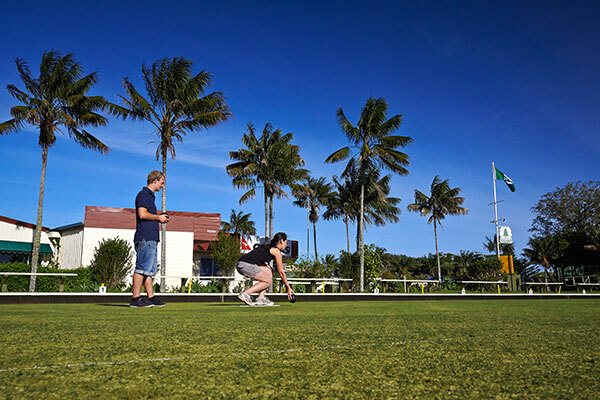 Three international tournaments are played annually on Norfolk Island.The new South Pacific Open 3 Bowl Pairs, March 6th-10th, TAB Triples, late August and Bounty 4s, early May. The club has two greens and a restaurant open 7 days. Affordable club meals for lunch or dinner. A la carte menu for dine in or take away. Live entertainment Monday to Saturday. Five beers on tap, billiard and pool tables, giant screen. Visitors are welcome, no membership required. Open 7 days from 11:00am. Looking for a casual meal or a couple of drinks in a friendly comfortable location? 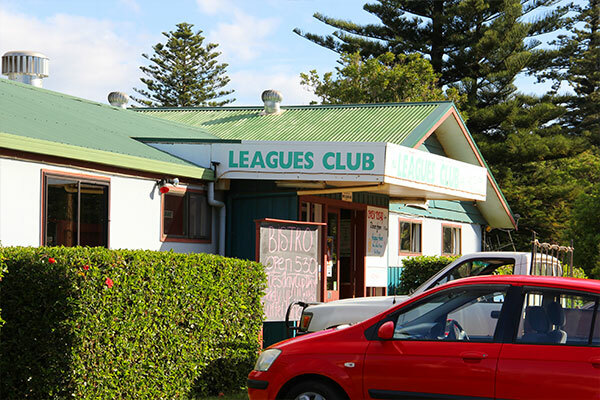 Drop into the island’s Leagues Club. The club is small, easy to find and the meals are tasty and great value and you can watch ‘most’ of the current sports competition on their big screen. Recognised as “The Oldest Existing Golf Course in Australia”, the Club was first built by convicts in 1843. To this day golf is still played over the same historical area, now part of a World Heritage site. 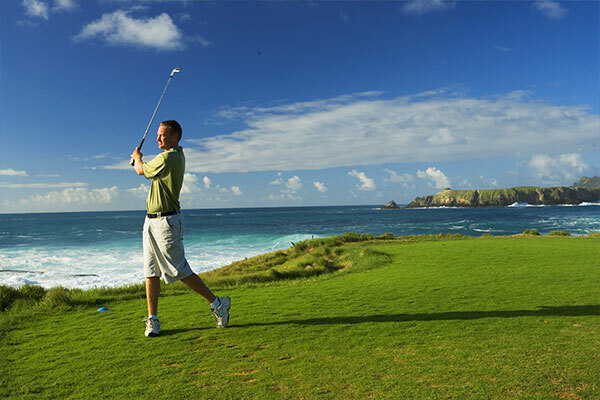 Come down to Norfolk Island Golf Club to take in the history and spectacular scenery. 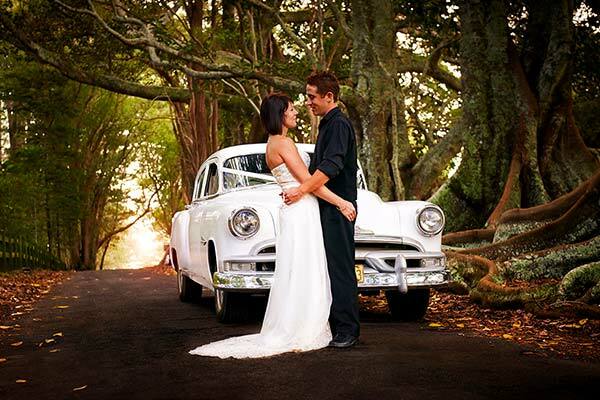 Norfolk Island presents a stunning, romantic and memorable backdrop for a wedding. Choose between a wedding in one of the many beautiful historic churches or ceremony with a landscape that captures your imagination. We can provide a complete package of perfect organisation and delivery for one the most important days of your life.